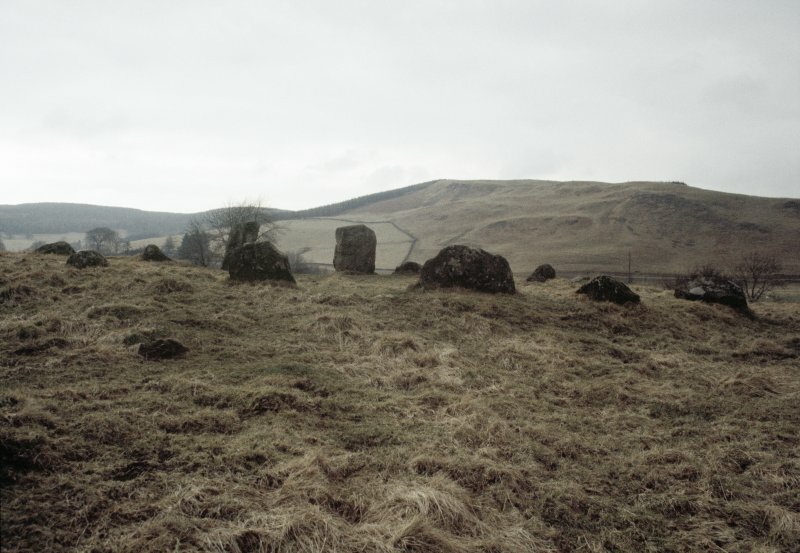 Hartmanor, 'Loupin Stanes', stone circle. 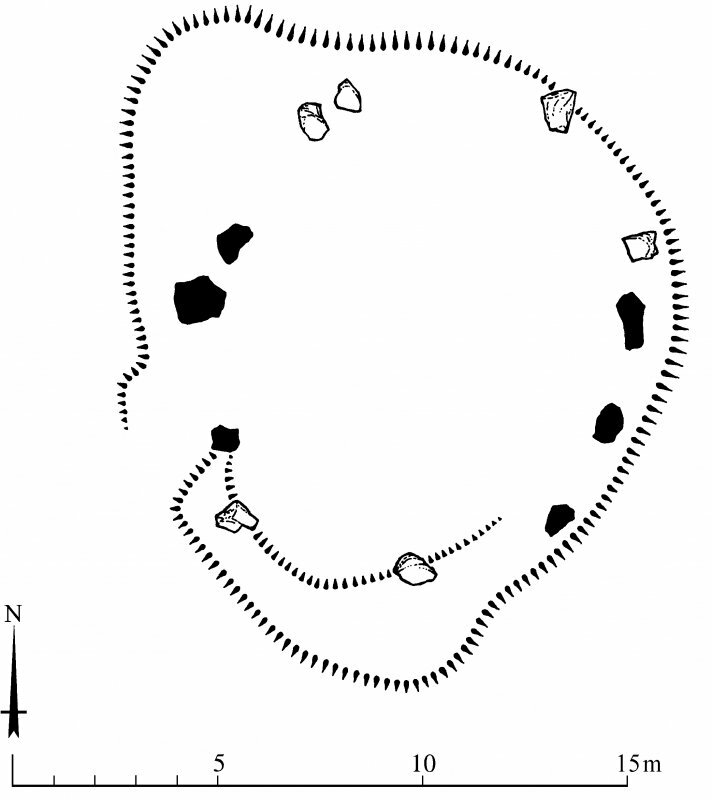 Plan of the Loupin' Stanes stone circle, redrawn for publication from DC 32357. HLS, . For Girdle Stanes stone circle (NY 25351 96153), see NY29NE 13. 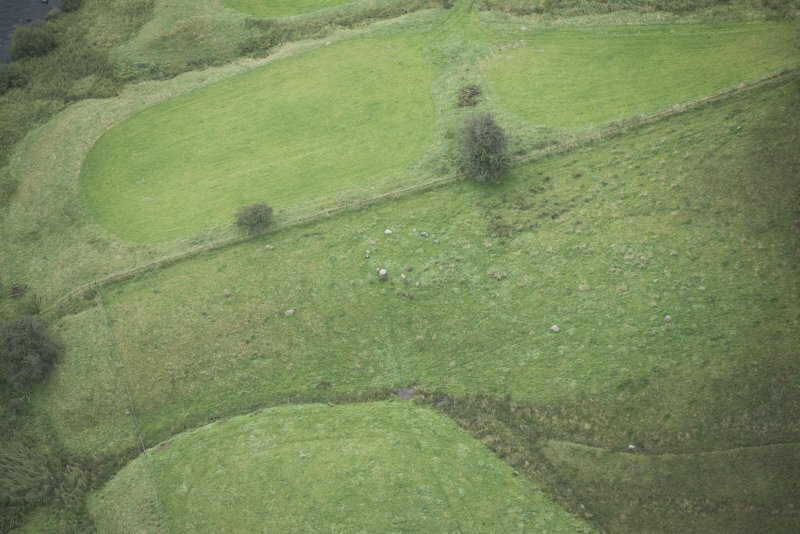 The stone circle known as the 'Loupin' Stanes' consists of 12 stones placed at irregular intervals, of which only 2, A and B on plan are pillars, all the others being simply boulders. The setting, flattened on the W arc, measures 38' N-S by 31' E-W. The flat-topped pillar stones measure 5'4" in height, and the two highest of the smaller stones do not exceed 2', while few reach 1'. 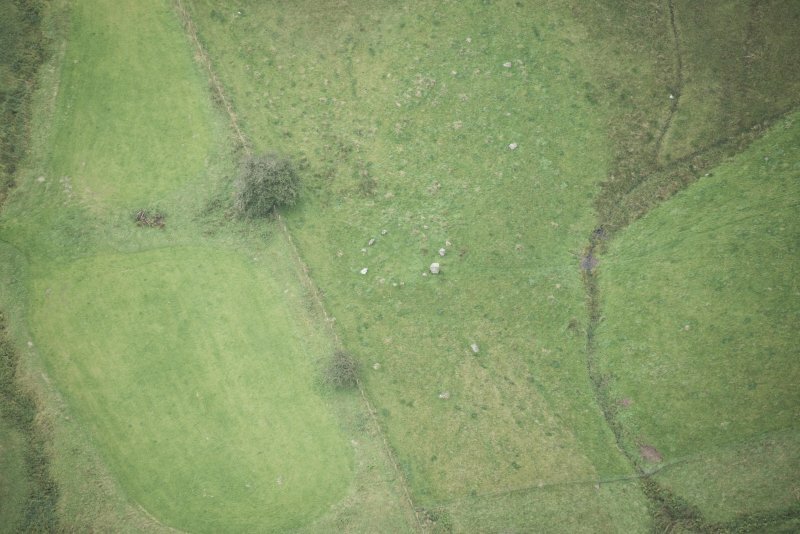 The site has been banked up nearly all round from 1' to 1' 6", perhaps with the object of making the interior level. 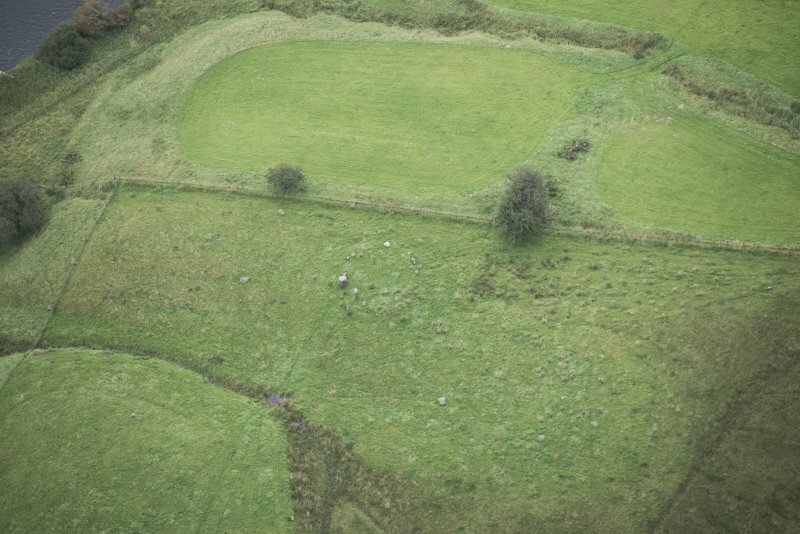 This stone circle, situated on a raised and levelled platform, is as described. Visited by OS (MJF) 1 September 1978. 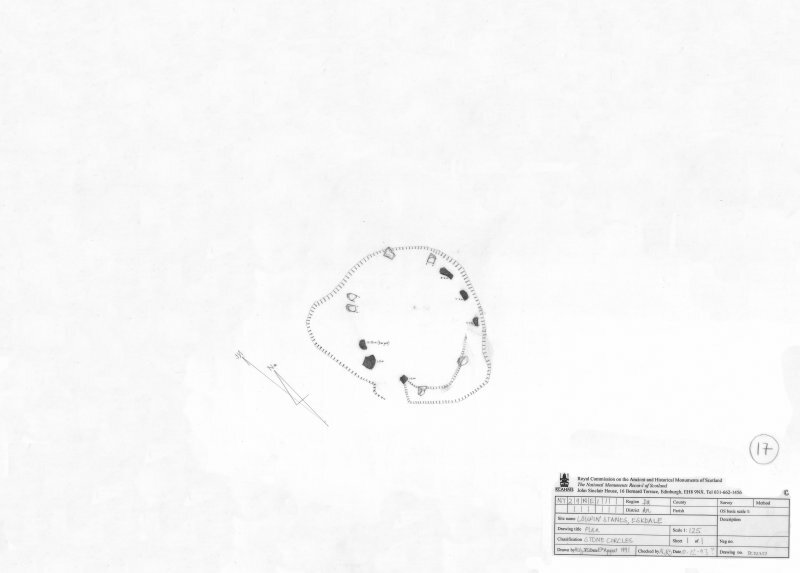 An oval circle, measuring 10.4m by 9.5m, is situated 570m NE of the stone circlr NY29NE 13. 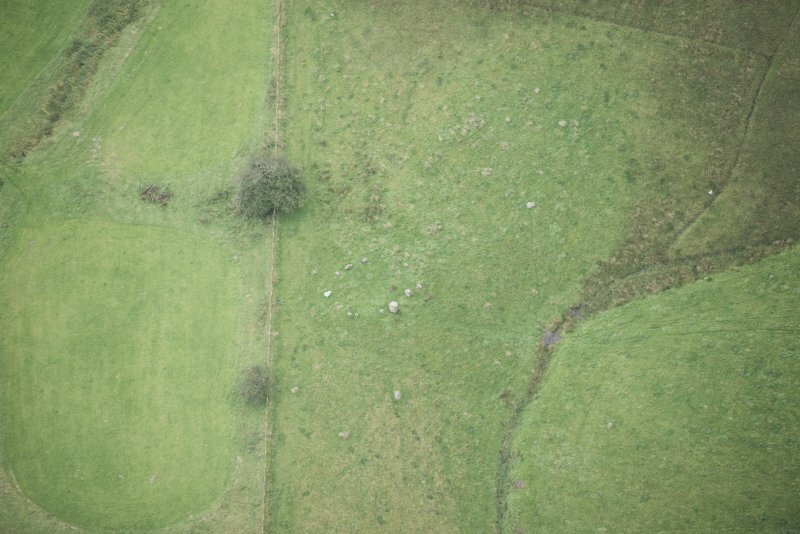 It consists of twelve stones set into a low bank 3m thick; two of the stones on the SW are taller (at 1.4m high) than the others and appear to mark 'the entrance' to the circle. 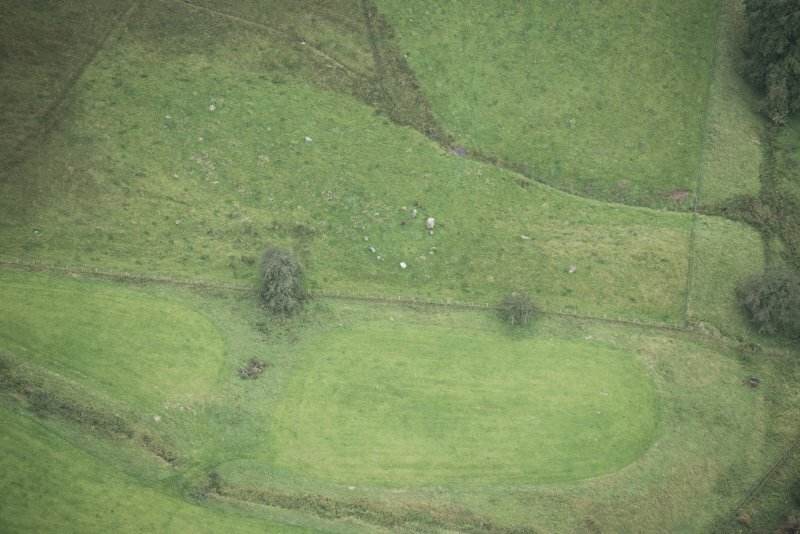 The remains of this small stone circle are situated on a low rise close to the left bank of the River White Esk some 250m W of the Hart Manor Hotel (NY29NE 85). The circle comprises at least twelve stones set on a diameter of about 10m, of which six remain standing. Although the two tallest stones, which measure up to 1.6m in height, are situated on the WSW, it is impossible to say whether the circle has been graded. 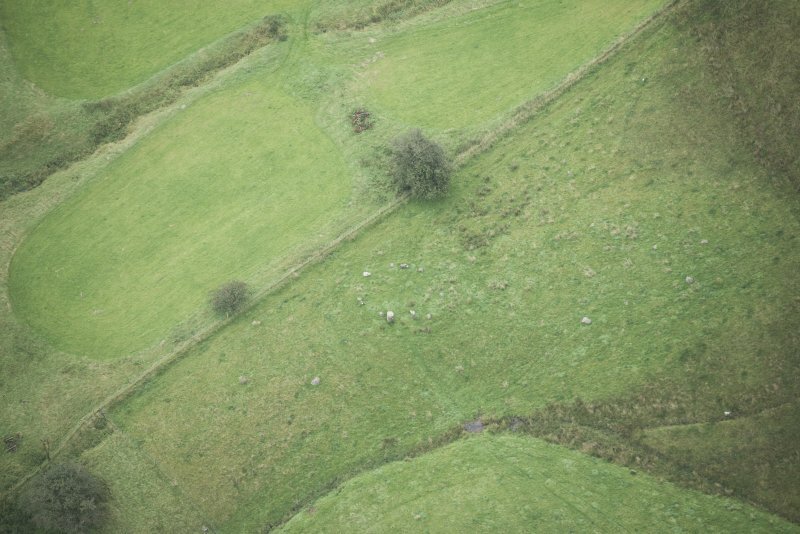 The stones appear to have been set into a low stony bank, but this may be no more than the result of external ploughing and the dumping of field-cleared stones. Visited by RCAHMS (JRS), 15 August 1993.